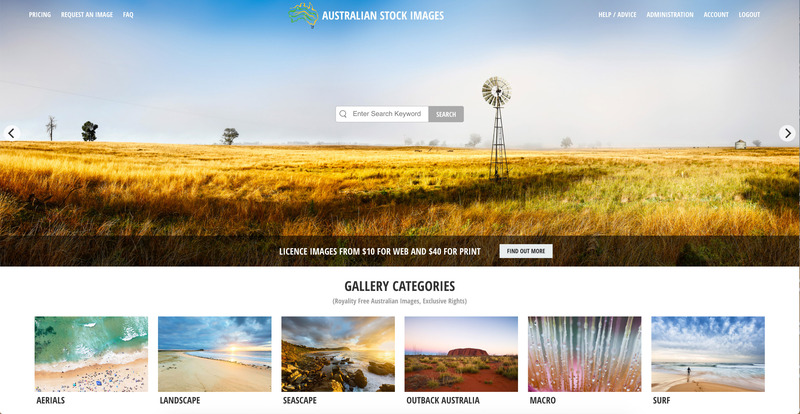 Welcome to our Australian Landscape Photography home page. This is our opportunity to showcase to you some of the images we have on offer on our website what is home to over 2000 amazing images of the Australian landscape from the outback to our stunning coastline and rainforests. All our landscape pictures are very high resolution and are printed and framed in our own professional printing and framing lab that just does our own work. 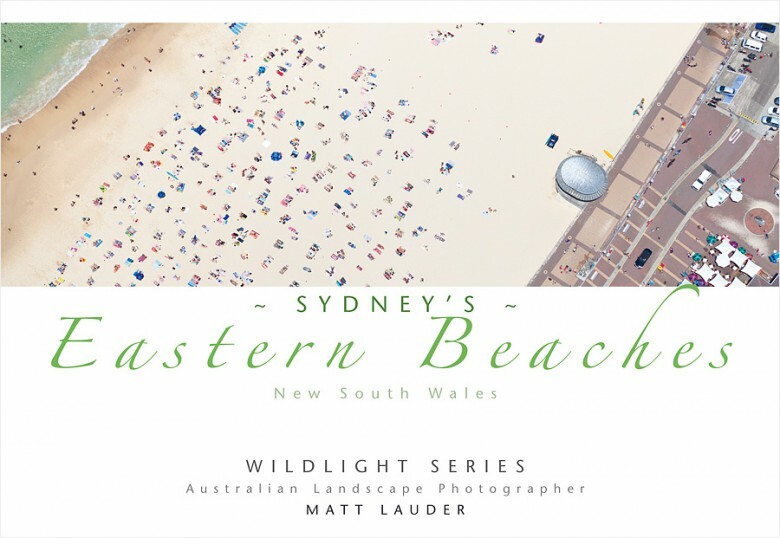 All the photos are from our extensive travel around Australia, early starts and late finishes to get that amazing light and colour you see in our landscape photography. So take a look we have some great examples. The heart of our website is our Main Online Landscape Photo Gallery where you will find all our locations and subsections. This was one of those moments anyone into Australian landscape photography hopes for when all the conditions and light all come together and make the image. Taking the photo is the easy part, finding it is whats hard and to be honest this photo caught my eye after on the side of the road on the way back from a failed shoot. Funny how things work out. From living on the East Coast of Australia it is always great to head home to Perth and to take an aerial helicopter photography flight and shoot places like this from the air. 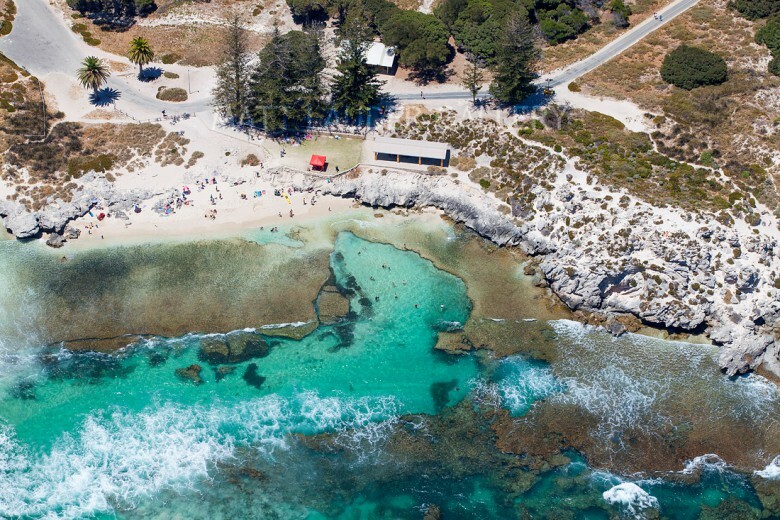 The water over Rottnest Island is amazing along with the coastline and sandstone. This image was actually used by Optus as part of a promotional campaign. This is a popular aerial landscape photo that’s is for sale on our website. No image aside from the Sydney Opera House and Sydney Harbour Bridge is more iconic as an Australian Landscape than Uluru or also known as Ayres Rock in the Uluru – Kata Tjuta National Park. My personal favourite of the two is Kata Tjuta as no photo does it’s size and beauty justice, you have to see it for yourself. 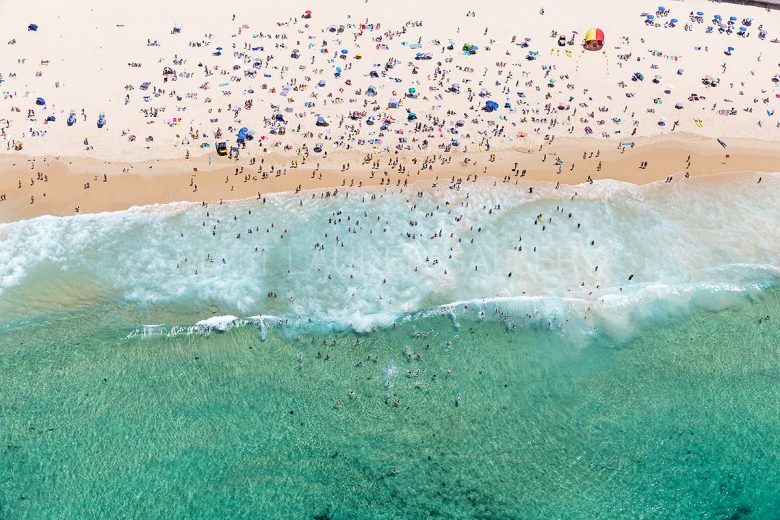 Of all the landscape photos that appear on my website, there is nothing like shooting aerials from a private charter helicopter over a packed Sydney beach in the peek of our hot Aussie summer. This one is from Australia Day in 2019 over Bondi Beach packed with sunbakers and swimmers. If your a photographer looking to get into Australian photography then doing a helicopter flight is a must. If your interested in how it is all done I have written a series of articles on the topic of How to Do Aerial Photography and some more articles on planning and preparing for aerial photography. The Australian Landscape doesn’t have to be just shots of the outback or the natural scenes, when people think of Australia there are a lot of icons that come to mind. 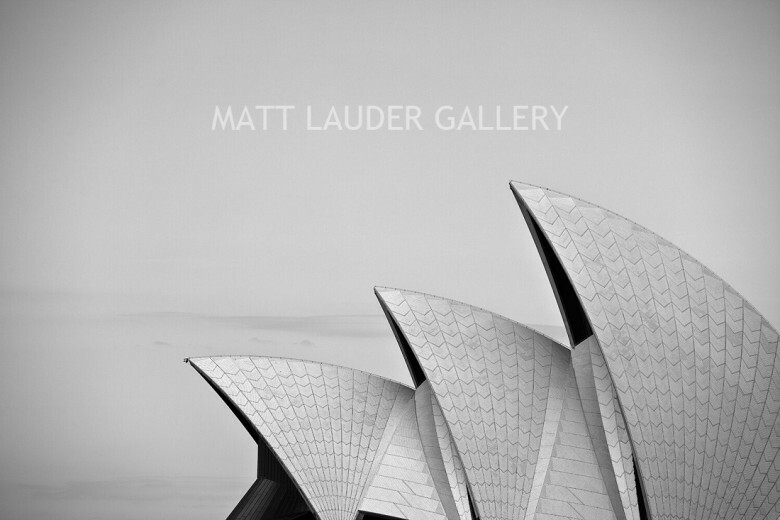 This photo of the Sydney Opera House was chosen by Sony music to be given to the singer Pink on one of her concert tours here as a thank you gift. We printed and framed the image 40 x 26 inch in a black frame. Hopefully, it is hanging somewhere in her house. The Man from Snowy River is a classic Australian film and this is the hut that was built as part of the set for that movie. Over the years it has burnt down a number of times due to bushfires and each time it has been rebuilt. This is a popular image on my website and it is a great location for anyone interested in landscape photography.